Why are so many people choosing to become Free Larks = To truly live is to revel, not to endure. 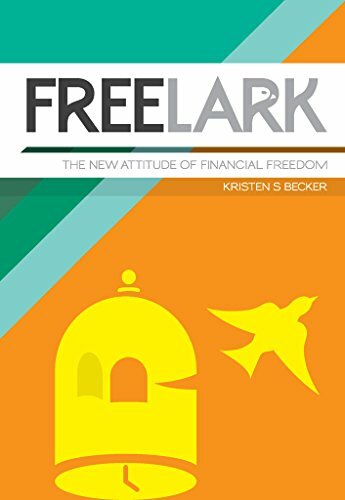 Free Larks know true financial freedom! Are you working more to have less? Itâ€™s an unfortunately common occurrence that people today are so worried about achieving financial success that theyâ€™re missing out on things that are often the most importantâ€” life experiences and loving, authentic relationships. This idea that weâ€™re working to â€œearn moreâ€ is ironic, given that we often give up quality personal and family lives trying to create a more stable financial life. The truth is that added responsibilities and material possessions are simply adding stress to our lives, taking away what we all really want and need to begin with, a fulfilled life. HEREâ€™S THE DEAL! Personal and financial freedom is just around the corner. The good news is that you can do something about it by implementing a few small changes right now! Learn to take back control of your personal and financial decision making process. Gain valuable insights into how to create more authentic joy in your life with less effort and expense. Discover how to leverage your spending power to bring more into your life while actually spending less! Learn how you can spend less time earning money and more time enjoying a more prosperous life. Discover easy to implement money saving tips that you can use right now to uncover huge amounts of money in your monthly budget. FreeLark is aimed at changing your perspective on money and material possessions, without sacrificing your family or personal time. FreeLark is filled with practical tips and strategies as well as insights and inspirations. Itâ€™s time to take an active approach to living a fuller, more exciting life that strikes a healthy balance between finances and experiences. Click to order your copy today, It’s time to become a FreeLark.